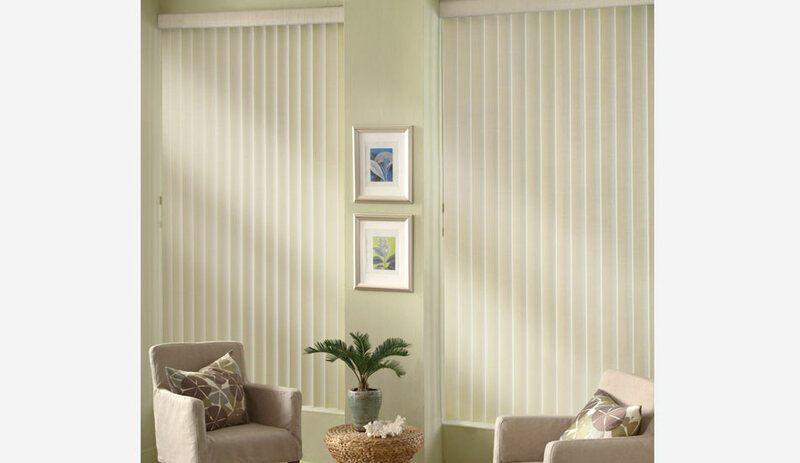 Vertical blinds remain an ideal, economical window treatment solution for everything from patio doors to living room windows. 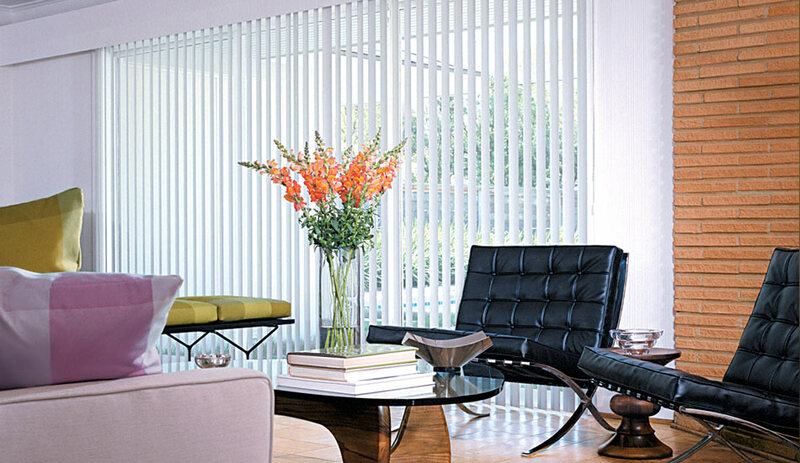 Vertical blinds are well suited for areas that are wider than they are tall. Available in a wide range of vinyl, fabric and wood choices, vertical blinds can create style with colours, textures and patterns to enhance any style of décor. 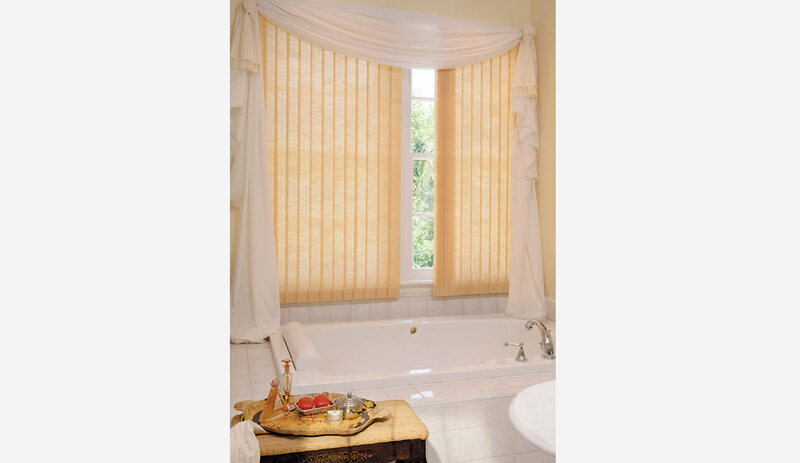 Still a popular choice by consumers the Vertical Blind has come a long way with their fabric, vinyl and wood options. From cotton weaves to vinyl material and over 100 choices, you are sure to find something to enhance your space. 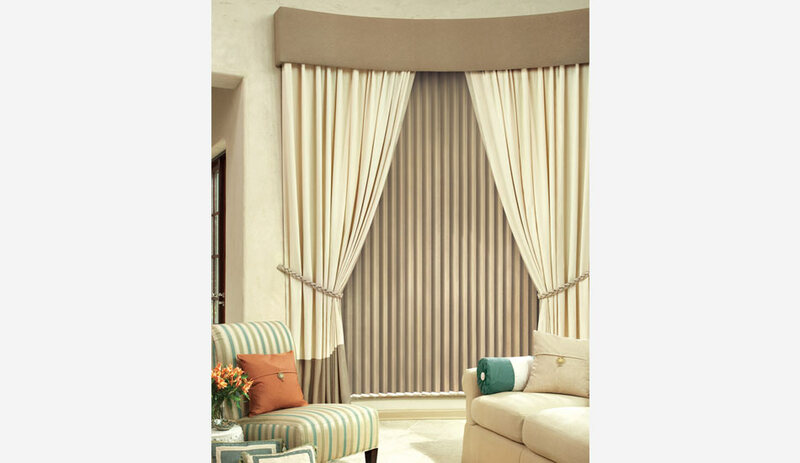 Made by top quality manufacturers such as Hunter Douglas, Levolor, and Shade-o-matic, etc… You can rest assured knowing that you are purchasing a custom window covering made of top quality with a warranty to stand behind. 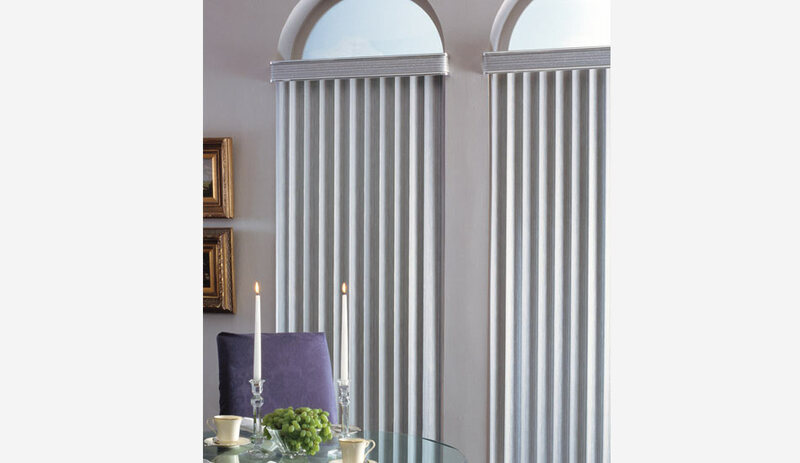 The Hunter Douglas Cadence® Soft Vertical Blinds feature patented curved vanes which look very similar to the folds of drapery. 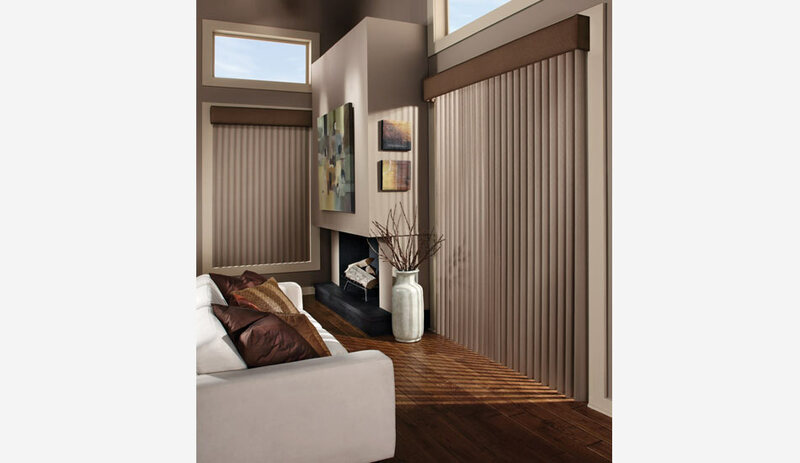 The vanes move along their track with ease and create a beautiful and affordable way to dress your windows.